One year after the Robert Mondavi winery was sold to Constellation, winemakers Tim and Marcia Mondavi set up Continuum with their father with the sole intention of making a First Growth level wine from Cabernet family grapes in Napa Valley. 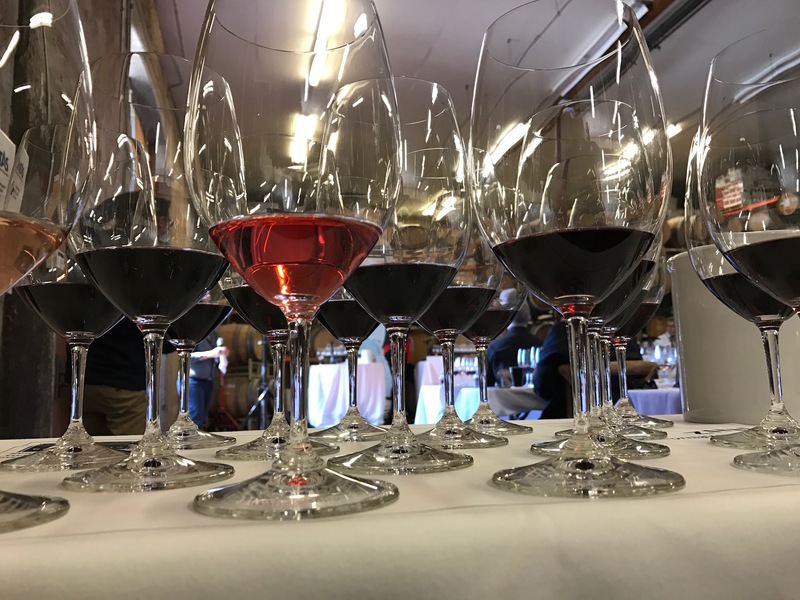 Christina Rasmussen sits down with Tim, tastes three vintages of Continuum, discovers a mutual love of Cabernet Franc, and hears first hand from Carlo Mondavi about his RAEN winery that produces thrillingly restrained Pinot Noirs that speak of the Sonoma Coast terroir. The essence of wine begins in the soil, particularly a fabulous site, says Tim Mondavi, whose time in Burgundy taught him the essence of terroir – that, and treating Cabernet fruit like Pinot Noir… caring for it tenderly. The Mondavi story is one of great and intense history. 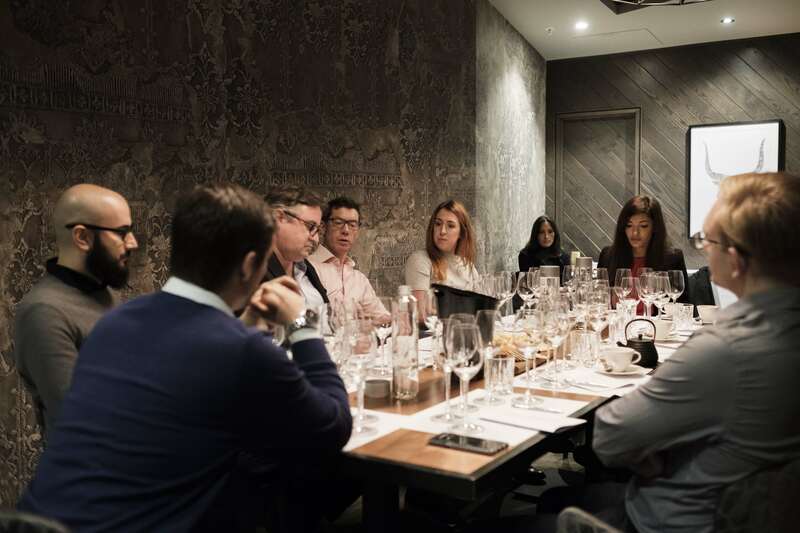 A fourth generation winemaking family, the story began with Tim Mondavi’s grandfather Cesare, who came over from the Italian hill town of Sassoferrato to work in Minnesota’s iron mines. With the onset of Prohibition, Cesare headed to California to buy and ship grapes for home winemaking. 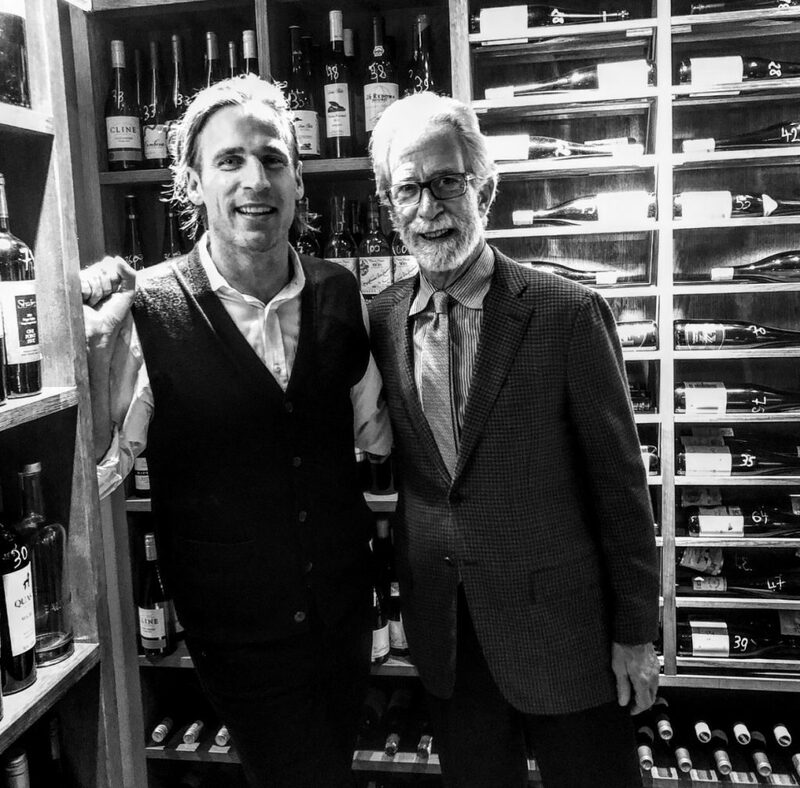 With foresight for the capacity of California as a destination for viticulture, he lay down the family roots in Napa. 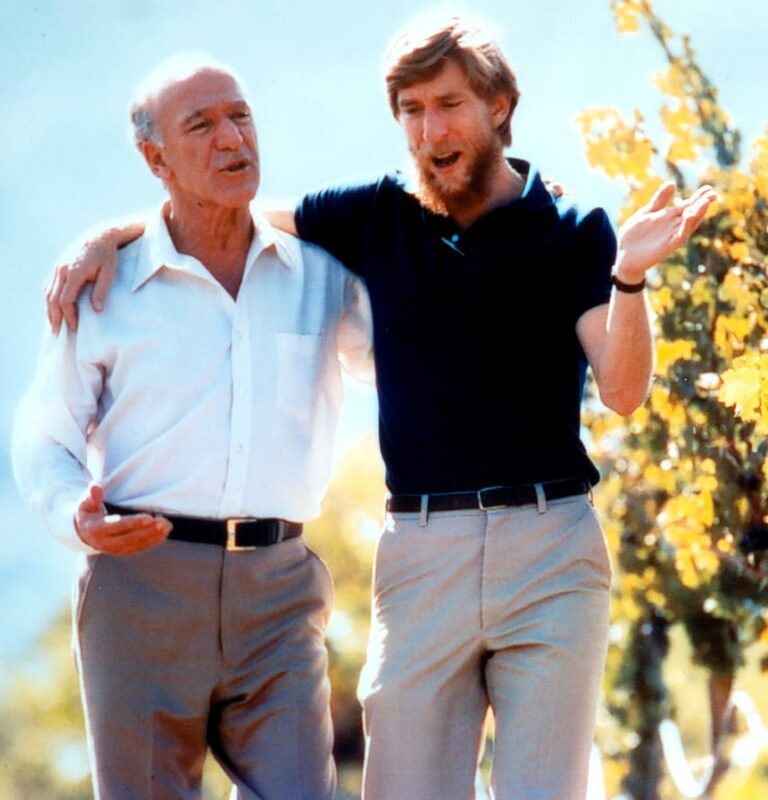 This led to the creation of the eponymous Robert Mondavi winery by his son which, following family disputes, was sold to Constellation in 2004. 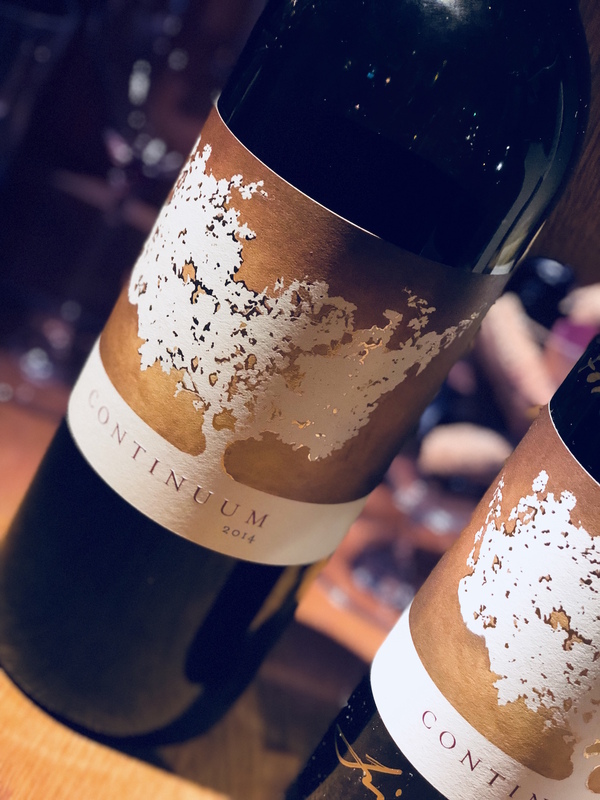 One year later saw the birth of Continuum, a Napa Valley winery founded by Robert Mondavi, his daughter Marcia and youngest son Tim (the eldest, Michael, had already set up his own winery in 1999). 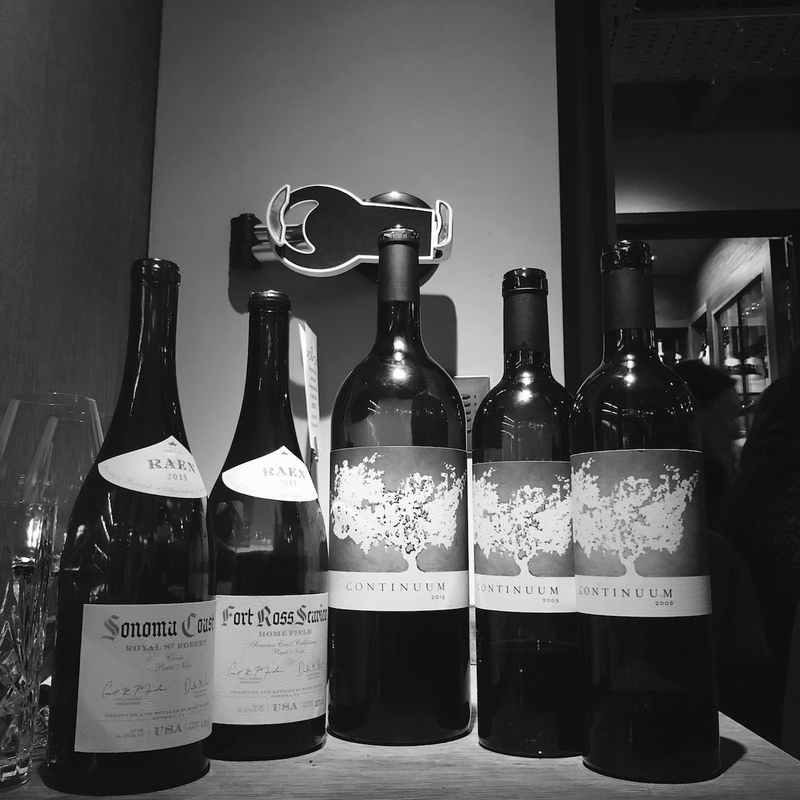 The Mondavi family had not missed a harvest since 1919, and they weren’t about to miss one now, and Continuum was set up as a terroir-driven winery to make single estate wine of the highest order. Tim muses: “We have a long story to tell. This brings me to telling the story about the essence of wine, which I believe lies in the soil. 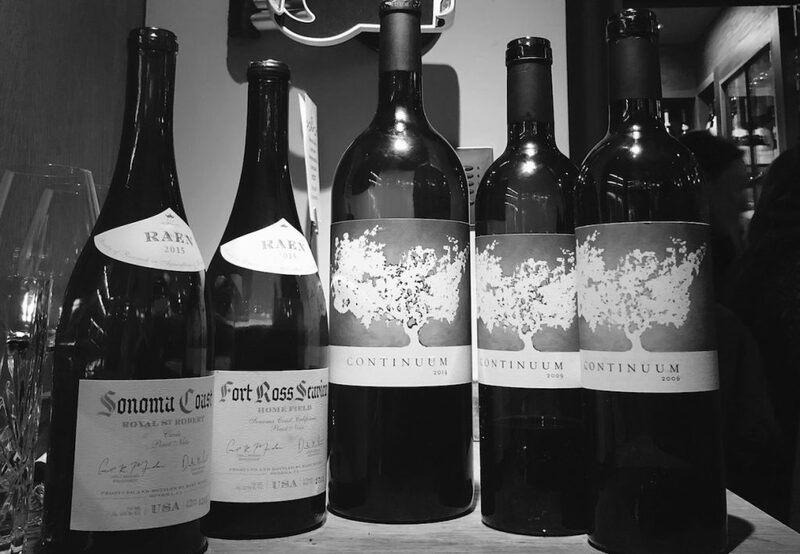 We make wine, but first and foremost it comes from a fabulous site.” With Continuum, the Mondavis have this – soil to get excited about. 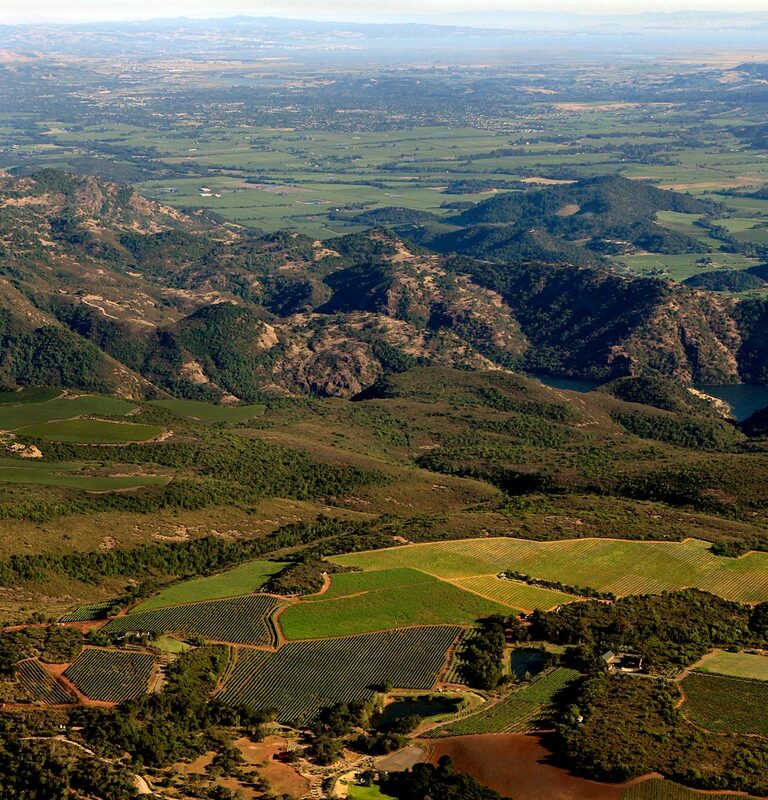 The vines sit on the mountainous east side of Napa Valley, on west and south exposure, with fine, loamy, red rocky volcanic soils with clay that is mineral-rich and well-draining. It took decades of living in Napa to discover this site, having previously fallen in love with other sites, but which didn’t come through to the glass – one, for example, was too cool and too high. Tim chuckled, “the proof is in the pudding,” he comments modestly. This humble exchange served as a reminder to me that vines, and wine, is far greater than us humans. Yes, we can make wine from anywhere, and we have technology and science to help us, but we cannot make fine or meaningful wine. This comes from its source. Sitting with Tim and Carlo, from one of the world’s most important wine families, both of whom are so humble and greatly in awe of soil and site, simply reaffirms this notion and renders it even more powerful. 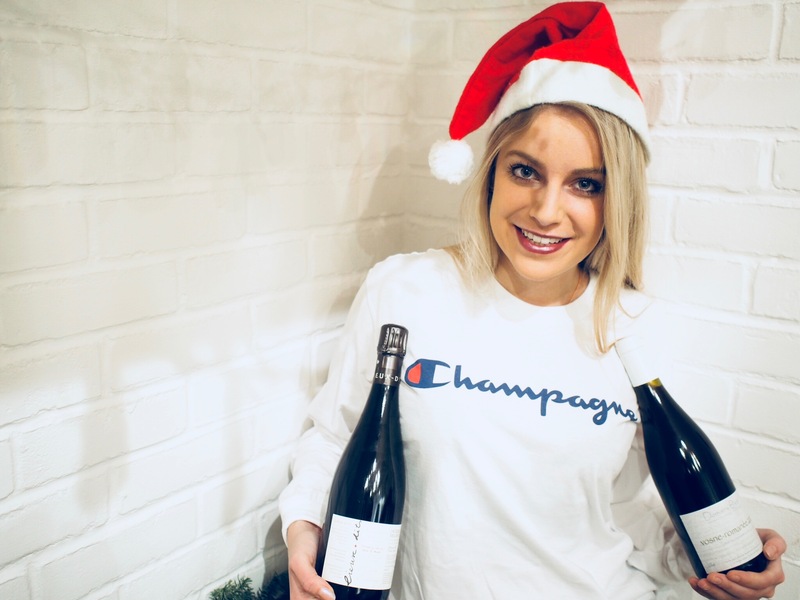 The Continuum site sits at an elevation of 400-490 metres and gives to the wine the “gift of elevation” – there is over 300 metres’ difference between the valley floor and the vineyard. This gives flavour and delicacy to the wine, as well as freshness. The soil is, in Tim’s words, “shy,” and combined with the altitude means that the vines stay smaller and give smaller fruit; the vine spends less time growing and more time concentrating, with this concentration translating to the wine and giving it ageing capacity. Winemaking is carried out in oak (75%) and concrete (25%), gradually with more and more concrete. Tim explains that the oak allows for deeper and broader tannin, whereas concrete gives elegance and a refined aspect; “we look for both interest and tenderness.” Oak is now at around 65% new (French), and the wine is racked two to three times and spends the first period with its yeast which acts as a protectant, keeping the need to sulphur low. Ageing takes place for 20 – 22 months and is bottled without fining or filtration. Speaking of Pinot, we turn to Carlo, whose RAEN project began in 2013. Tim’s own passion for Burgundy inspired Carlo and brother Dante to turn their focus to Pinot Noir. Thus was born RAEN, Research in Agriculture and Enology Naturally. The goal here is to produce fine Pinot Noirs, on the western hills of Sonoma Coast, currently through three single vineyard sites. The goal is aromatics – “if the wine doesn’t jump out at me I’m not interested.” This is created with no new oak and whole bunch fermentation, which brings a rose petal tea effect to the wine. 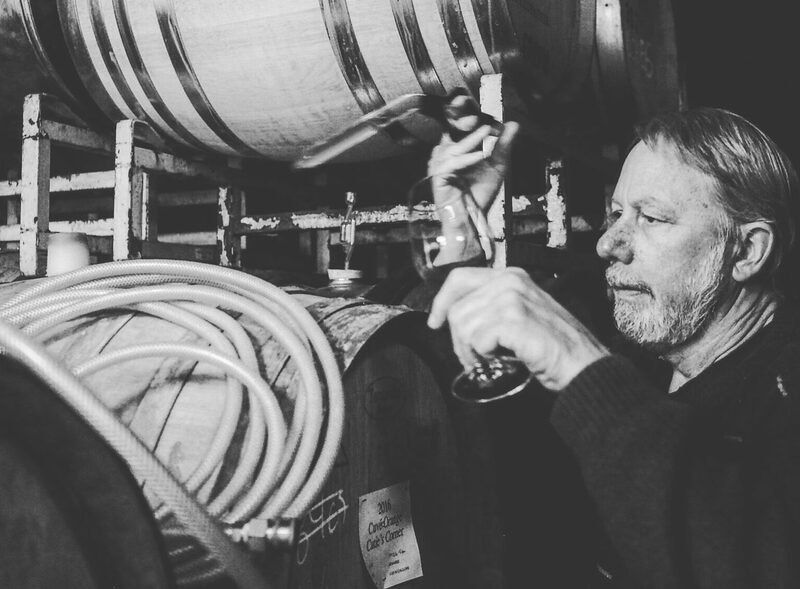 And so, with the unique terroirs of Fort Ross Seaview, Freestone Occidental and Sonoma Coast, Raen joins the small but growing tribe of winemakers who are paving the path for minimal intervention, terroir-driven Sonoma Pinot. Once again we encounter that importance and intricate nature of site. Fort Ross Seaview sees a cool climate where grapes struggle to ripen; but with vines sitting above the fog line at almost 400m altitude, the afternoon sun ripens the grapes. Soil is composed of iron rich sandstone of the Franciscan series. The Freestone Occidental vineyard is surrounded by redwoods, wildflowers, coastal oaks and native grasses. A lower elevation of 300m and under, and proximity to the Sonoma Coast, means that it’s very cool here with slow ripening. The soil is Goldridge sandy loam and iron rich Franciscan series soils. The fruit for the Sonoma Coast Royal St Robert label is grown around the village of Freestone on the Sonoma Coast, overlooking Bodega Bay and the Sonoma coastline. Pacific fog engulfs the vineyard and covers the fruit with ocean mist. Elevation sits at 387m. Rows are lower and vines sit on well-drained Goldridge sandy loam and Steinbeck fine sandy loam, with the upper parcel on iron rich Francsican series soils. The duo also creates a Chardonnay from pre-phylloxera vines from Fort Ross Seaview’s Charles Ranch vineyard that is not yet imported. I’m keeping my eyes peeled. 2015 was warm with little rain, with January and February recording record-breaking warmth that resulted in budbreak a month early, and half the usual crop and the smallest clusters ever seen – thus the most powerful fruit that Carlo had worked with to date. The wine underwent 75% whole cluster, indigenous fermentation, and was aged for 10 months in neutral French oak. No fining or filtration. The wine is elegant but more muscular, perhaps comparable to a Gevrey-Chambertin. Tight cherry skin and dried violets on the nose with a subtle incense character and an earthy mossy character. Dense, grippy palate with tight grained tannins, showing black cherry flesh, bramble and some bark on the finish. Planted by Michael Brown, the pioneer of planting Pinot in this area in the 70s, and who ignored those who said it was too cold, the cool Pacific air here gives very lifted aromatics – a gentle zippy raspberry nose with blood orange pithiness and very pretty aromatics that continue to the palate, showing dried herbs and wet, earthy, pretty, dusty notes and hibiscus on the finish. This lifted style of cool Sonoma Pinot (it’s cooler than Burgundy here) will be very exciting to watch age. The intense micro flora in the vineyard acts as its own form of garrigue. Very perfumed nose. Lifted nose of of wild herbs, with floral, fauna-like aromas. Wild thyme and heady garrigue style notes dominate, with some rosemary oil. Subtle, delicious, graphite notes and black fruit skin join on the palate – a much less bold or fruity style of Napa; there is a lot of lifted elegance here and evokes site and energy with intrinsic balance. The nose is still quite tight here, pretty and highly perfumed with rosehip oil and plush blueberry notes on the palate with some fresh bramble and pleasant leafiness and dusty rose petals. Lovely soft tannins with cassis-meets-graphite on the finish. Linear structure showing only fresh fruit: this is a wine on an exciting path. A dense nose packed with black fruits and some lifted dried lavender notes. Plums, subtle plum jam and dried blackcurrants here with grippy tannins with liquorice meeting cocoa nib on the finish. Heady, powerful with internal heat, yet with its subtle texture and lifted spice there’s the same vein of elegance and finesse here. Both Continuum and RAEN wines are imported by Flint Wines.